It only takes a couple of added ingredients to transform frozen broccoli into this delectable side dish. Combine broccoli, mustard and Cheez Whiz in large nonstick skillet on medium-high heat. Cook 5 min. 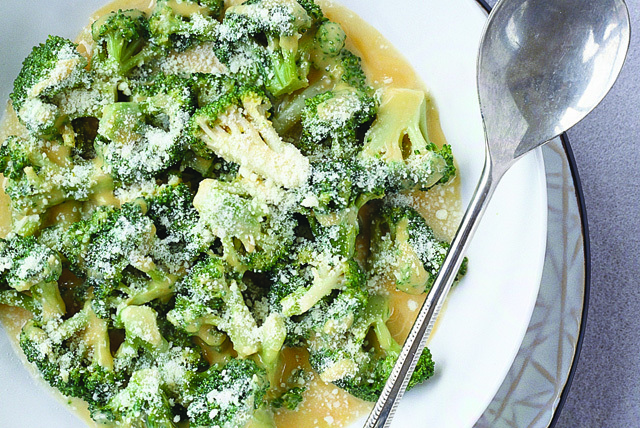 until broccoli is crisp-tender and hot, stirring occasionally. Add 1 clove garlic, minced, with the broccoli. Try this cheesy broccoli side dish with Light Cheez Whiz Spread and Kraft Light Parmesan Cheese and save 20 calories and 3 g fat.